Despite there being thousands of people constantly digging for casting news, every now and again, word breaks on a huge project that some actor or actress mentions in an off-hand fashion. In today's installment of "I"m sorry, what was that you said?" 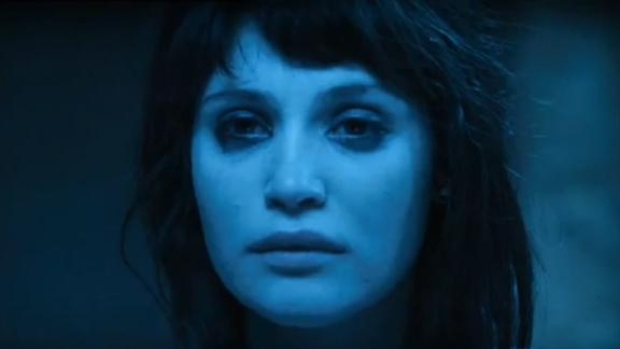 we present Gemma Arterton. Arterton was just named the Hottest Actress ("hottest" career-wise, that is) in the latest edition of Total Film (by way of The Playlist). Asked for a quote, the actress dropped a doozy. "I’m aiming for even more diversity. Capa [a biopic about the combat photographer Robert Capa] is confirmed, so I should be working with your hottest actor, Andy Garfield!" gushed Arterton. We loved Arterton in the under-seen "The Disappearance of Alice Creed," and we've had our eye on Garfield since his supporting role last year in "The Imaginarium of Dr. Parnassus," so Mann's already got our attention. Waiting for Robert Capa is based in the love story and professional relationship between a young German woman called Gerta Pohorylle and a young Hungarian man called Endre Friedmann since they met in Paris in 1935 until she died in the Spanish Civil war in 1937. Both communists, Jewish, exiled and photographers, they decided to change their names in order to sell better their works and so became Gerda Taro (as an hommage to the Japanese Taro Okamoto) and Robert Capa (a mix of Robert Taylor and Frank Capra, so he could seem an American photographer). With these new identities, they arrived to Spain to inform about the Civil War.